My first experience of doing a wedding outside my homeland. I’ve never imagined doing it in the greater Africa. The experience was very wild – living in tents, no running water :P, no electricity, no internet, no phone – just the long safari rides in the grassy, rocky landscape. 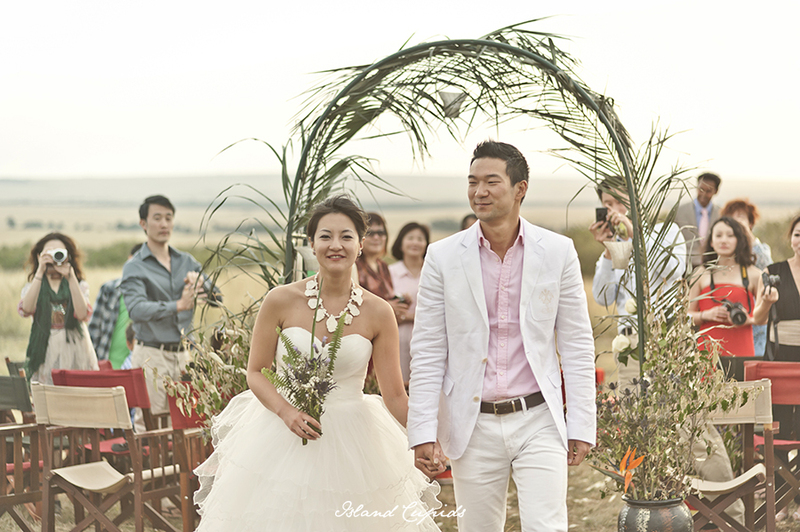 I had a great time shooting pictures of the lovely bride and groom at the great migrations. 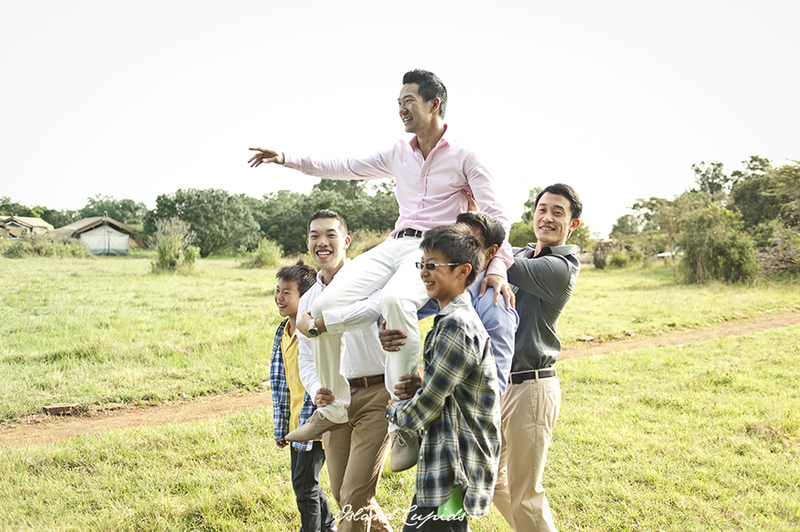 Let me try to write a bit about the trip and wedding. We all arrived at night so had to spend the night in Nairobi. After an early morning breakfast, we started our journey from the capital city. It took us few hours to reach Lake Elmenteita Serena Camp, where we spend almost half a day and a night in these luxury tents with great view and mouthwatering food. I will never forget the view of Lake Naivasha and the surrounding wetlands where our jeep got stuck, but were saved after a few hours. Anyway, we saw few great white pelicans, antelopes and gazelles on this area. 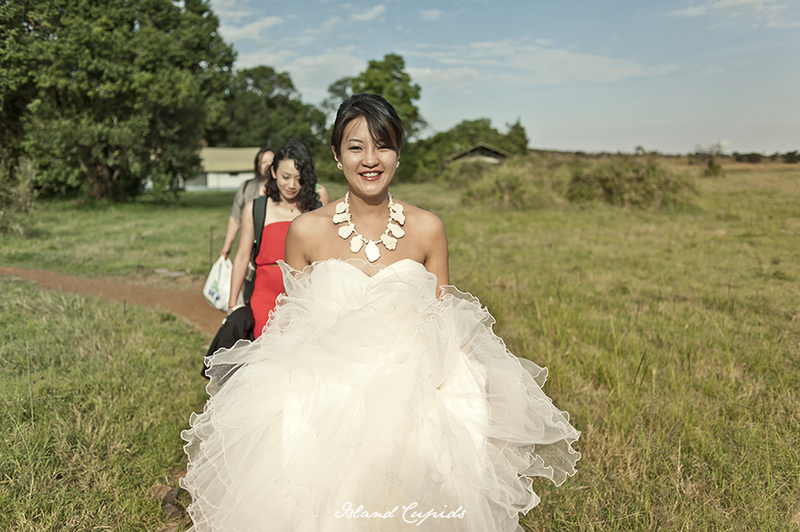 Steve and Tiffany’s pre-wedding pictures are taken on the Lake Nakuru National Park. This is the kind of place you see on the lost world movie, the great plains of yellow Umbrella Acacia Trees and the famous lake of flamingoes, the sceneries are amazing. We were only allowed to come out of our safari jeep twice to do the pics. Since it is the wild, we were advised that at anytime any sort of animal could attack us . So we had to always be aware for anything the animals might do. After the Lake Nakuru National Park ride, we had to take a small aeroplane ride to the Maasai lands. The Masai Mara National Reserve (an IUCN Category II National Park) this is where you see the animals, where the annual great migrations happens. In this area, cultural tourism is practiced in the best way. People who live here dress in their traditional clothes and are always looking very smart and colorful and these people are very kind. 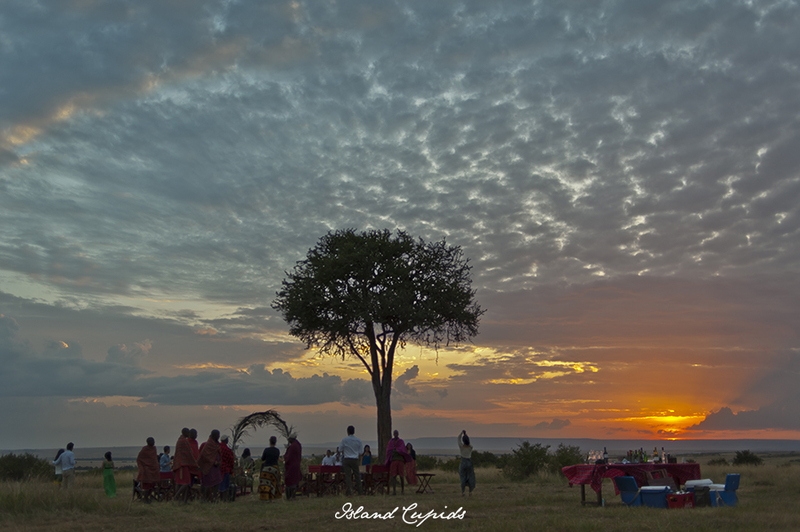 We stayed and all the wedding preparations were at the Porini Lion Camp at Olare Motorogi Conservancy. We did the formal wedding photos during the morning of the wedding day. It was really cold ( 7- 10 degrees), because of the wind from the mountains. In short, we were freezing. 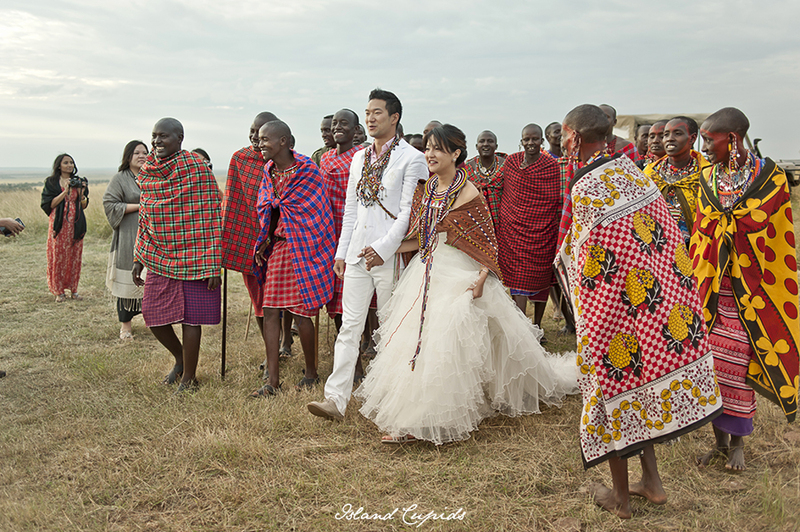 Since our couple love animals and this is the reason for them to get married in kenya. My assignment was to shoot them with real wild animals, these are not caged animals. On one location we were dragged to our vehicle because the wild elephants was walking towards us. I saw these angry elephants walking, through my lens! But at the end of the session we got images with elephants, zebras and lions. 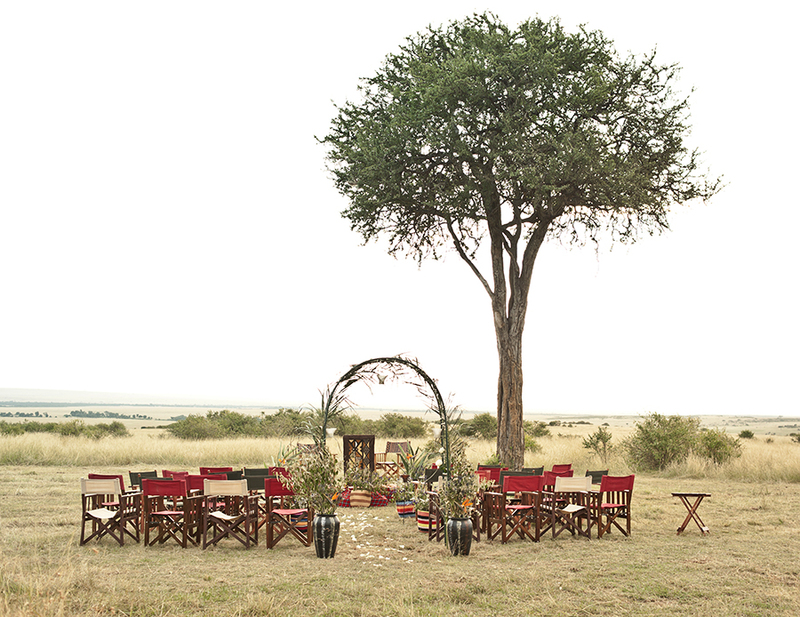 The wedding ceremony was held on the top of the hill under a tree with the full landscape of great Africa. Friends and family of Steve and Tiffany were present on the location. 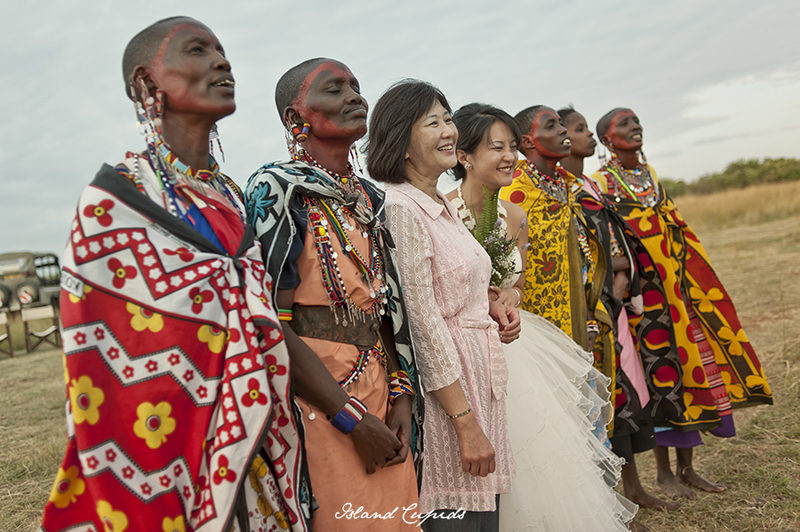 The bride and groom were escorted to the ceremony by the Masai locals, groom by the warriors in full kit and the bride by the colorful ladies. 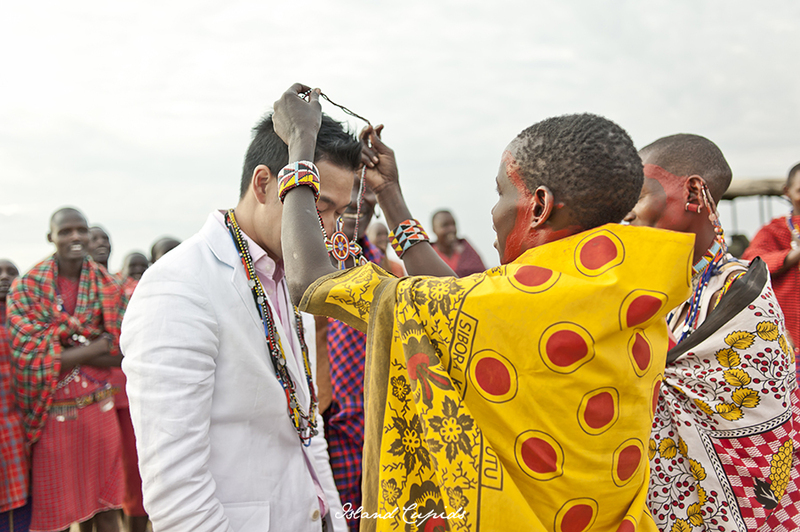 After the vows, happy tears and the first kiss, the bride and groom were given traditional cloths; the colorful necklace and even Masai names by the elders who visited the ceremony. This is actually a real privilege and honor. 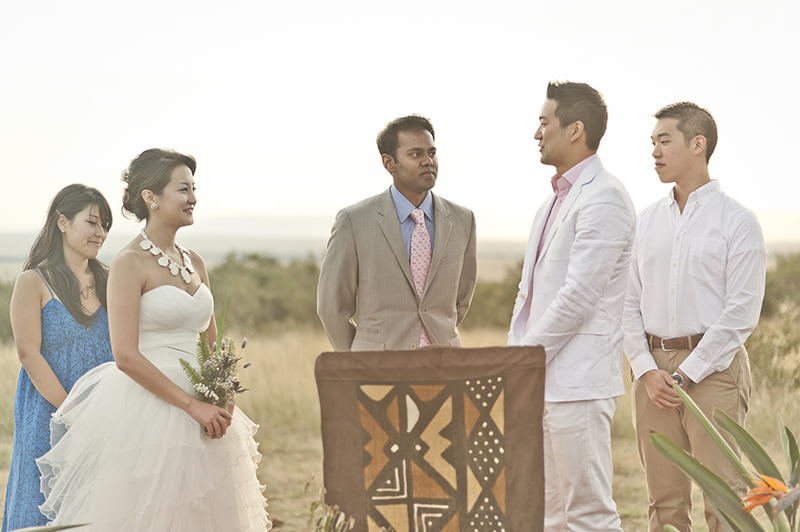 The wedding ceremony ended with a surprising African golden sunset. 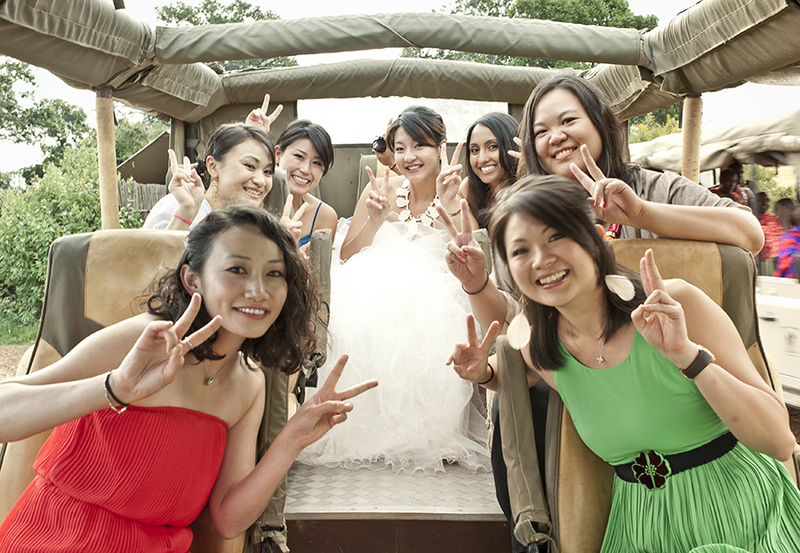 After all the ceremony, we all had a night safari ride till we reach the bush dinner. Also, our couple was really lucky to see the rising of the full moon. The full event was arranged by the Gamewatchers Safaris. They have brought reality to a great african wedding. Let me tell you about the greatest wildlife show on earth. Never giveup this opportunity of life, this is something I would never forget in my life. I will call this as the parade of wild beast. Each year around 1.5 million wildebeest and 300,000 zebras and antelopes gather up their young and start their long trek from Tanzania’s Serengeti Plains, further north to Kenya’s Masai Mara National Reserve. They go in search of food and water. The land is full of animals, you can even see the wildebeest being attacked and the stampedes if you are lucky. Also during this period you can meet a lots of wildlife photographers and video crews moving around you. 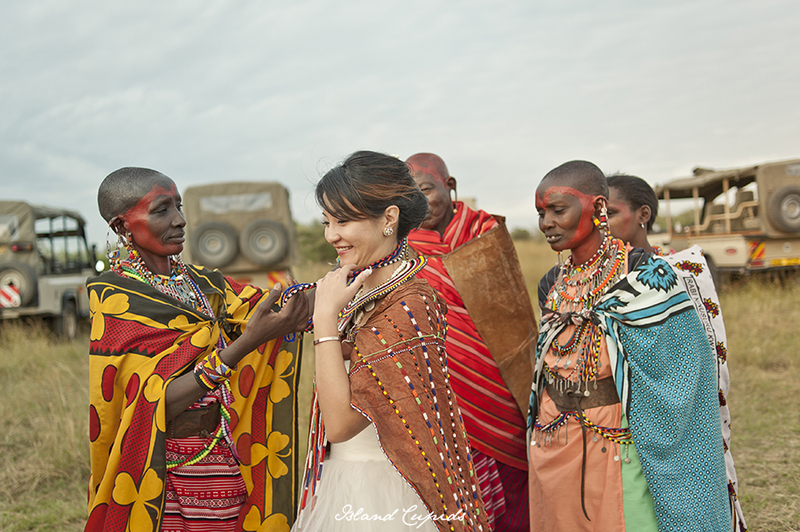 There is a lot more than my words can describe on this journey, so let my images tell you the story of impalas, leopards, warthogs, cheetahs, wildebeests, Thomson’s gazelles and my lovely wedding couple. Hope you like it. Thank you Steve and Tiffany for giving me the opportunity and having faith in my work. After all, the only pictures are of tropical weddings on Island Cupids website before the end product. I will never forget you guys, and hope to meet you in Hong Kong someday soon.